I love spicy food. But more than just heat I like it best when there is interplay of various other notes. 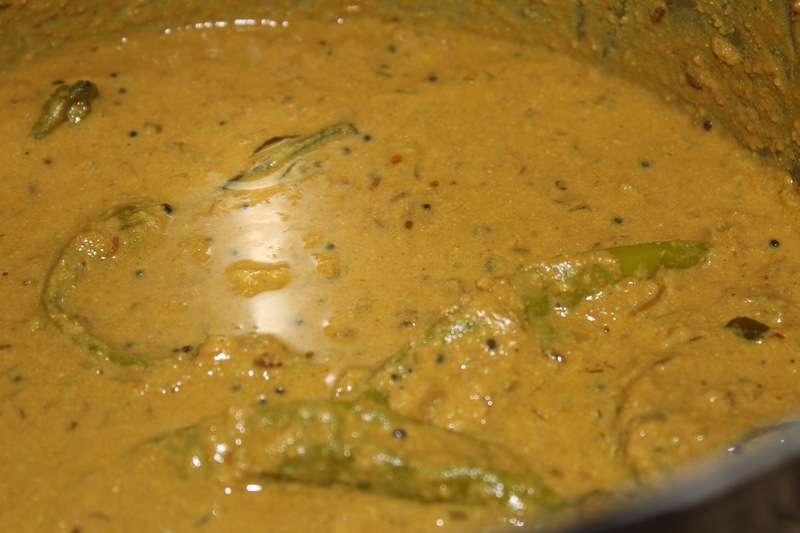 One such dish that elevates flavors like sweet, savory and heat is Mirchi Ka Saalan. Its a Hyderabadi dish that is generally an accompaniment to Biryani. But I prefer to eat this with plain Jeera rice, it tastes great. Plain rice allows the various taste profiles on this dish to shine on its own. You can make this with any kind of Chilli, but I prefer to make the dish not too spicy. I normally use either Anaheim peppers, big Jim or sweet peppers found in the farmers market. Now lets proceed to how this savory dish is created.